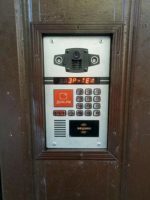 Beward Multi-subscriber DKS151 series IP Video intercom is designed to organize access control to the entrance of an apartment building. To transfer high-quality video in IP intercom, a 1.3-megapixel camera is used. Duplex audio and video are transmitted using SIP. 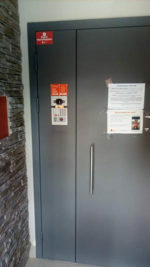 The presence of the RFID reader at 125 KHz and 13.56 MHz allows you to organize access to the entrance by wireless tags. 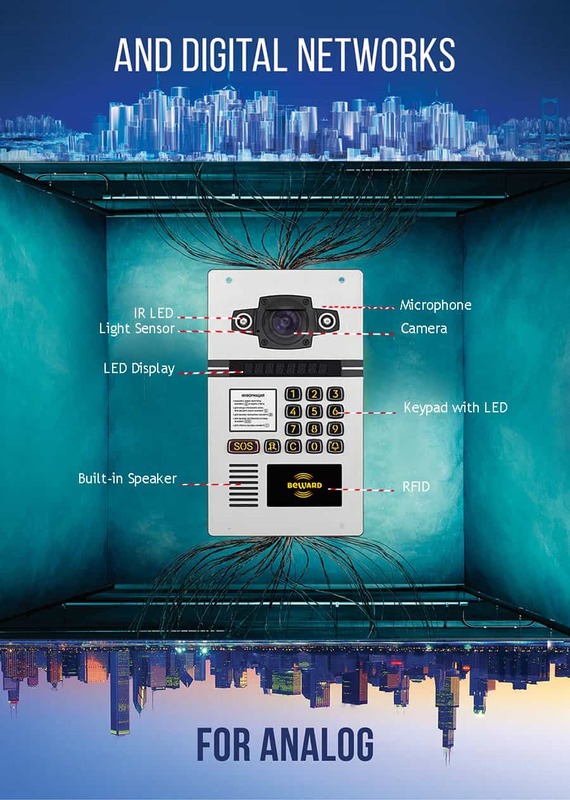 To transmit video in complete darkness, built-in infrared illumination is provided, with a range of lighting up to 10 m. The metal anti-vandal intercom system will not allow attackers to disable it. 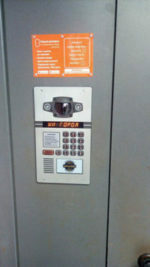 Due to the temperature range from -50 to + 60 ° C, intercom can be operated at any time of year. Support for a four-digit subscriber number up to 9999, allows you to use the Beward DKS151 series IP Video Intercom in hotels or in buildings with large floors. Beward IP Video Intercom DKS series for apartment with SIP compliant, which compatible with all devices and systems that support SIP, such as intercoms, phones, PBX etc. 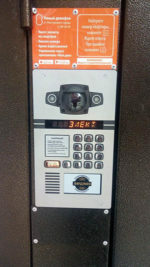 It is possible to display images from an IP video intercom to a SIP monitor or to a SIP video phone. It is possible to provide a P2P connection via SIP without the applying of any server. Our Apartment IP intercom operating temperature range from -50 to + 60 ° С, needn’t worry about the severe weather. The 1.3-megapixel SONY Exmor sensor provides highly detailed images and has very good sensitivity. Thanks to 2D / 3DNR noise reduction technology, the DKS151 series provides a good, high-quality image even in difficult lighting conditions. Beward DKS151 series IP Video Intercom equipped with a built-in speaker and microphone. The hardware audio signal processing and echo cancellation system allows you to get a clear, well-recognized sound. 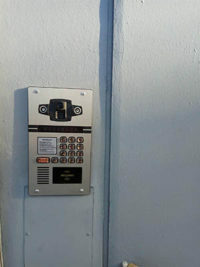 It is possible to connect 2 doors to the Beward DKS151 series IP Video Intercom, the main and additional. 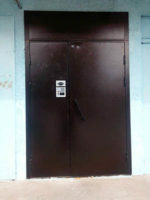 For each of the doors, it is possible to connect opening sensors, thereby it is possible to control the duration and the fact of opening the doors, as well as their breaking. 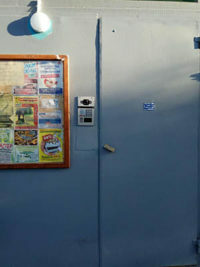 Opening the main door is carried out by wireless RFID tags, or by an individual code. 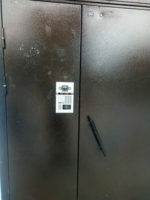 For an additional door, it is possible to connect the reader via the 1-Wire protocol. 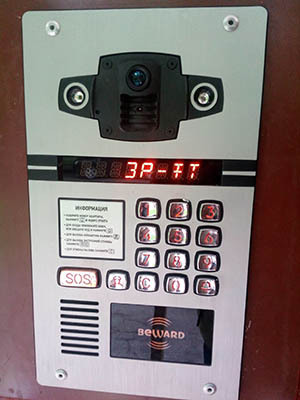 Beward DKS151 series IP Video Intercom after power on, ready to work out the basic functionality, and this access to the entrance and a call to the analog tube in 1 second. Even the firmware update will not affect the performance of the basic functionality. 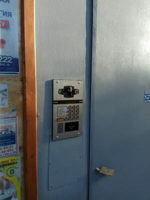 In firmware update mode, backup storage for 8500 RFID keys and 1500 codes for opening doors is used. Using the Beward DKS151 series IP Video Intercom, it is possible to make calls to coordinate-matrix analog networks of up to 600 subscribers. 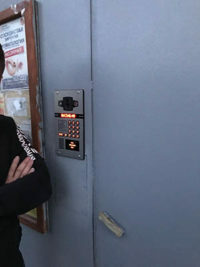 All that is needed for this is to replace the existing switch at the entrance with a Beward KKM-100S2 (solution up to 200 subscribers) or KKM-105 (solution over 200 subscribers). Solutions are optional and purchased separately. For observation in complete darkness, an electromechanical infrared filter and built-in infrared illumination with a range of up to 10 m are provided. Powerful III-generation infrared LEDs built into the Beward DKS151 series IP Video intercom are characterized by an increased service life and high stability of parameters compared to normal ones. The efficiency of III generation LEDs is so high that each of them replaces 15-20 ordinary ones. The metal anti-vandal IP case of the Beward DKS151 series on-door speakerphone will not allow attackers to disable it, and the built-in limit switch of the opening will report about an attempt to remove the IP of the door phone from the installation site. The 8-character LED display with adaptive brightness of the glow is able to display information without delays at temperatures up to -50 ° C, which LCD displays are not capable of. IP intercom Beward DKS151 series can be installed both indoors and outdoors, thanks to the temperature range from -50 to + 60 ° C and protection from dust and moisture in accordance with class IP54 and IP 66 (DKS15102 is IP54, DKS15122 is IP66). Beward DKS151 series IP Video Intercom can be easily embedded in the security system and use it as an IP camera. At the same time, it allows you to record audio and video all the time, when you call the subscriber, open the door or upon motion detection. Beward DKS151 series IP Video Intercom supports popular network protocols, which increases the possibility of its use. SIP is widely used in telecommunication systems, there is no need to integrate the BEWARD IP video intercom additionally. 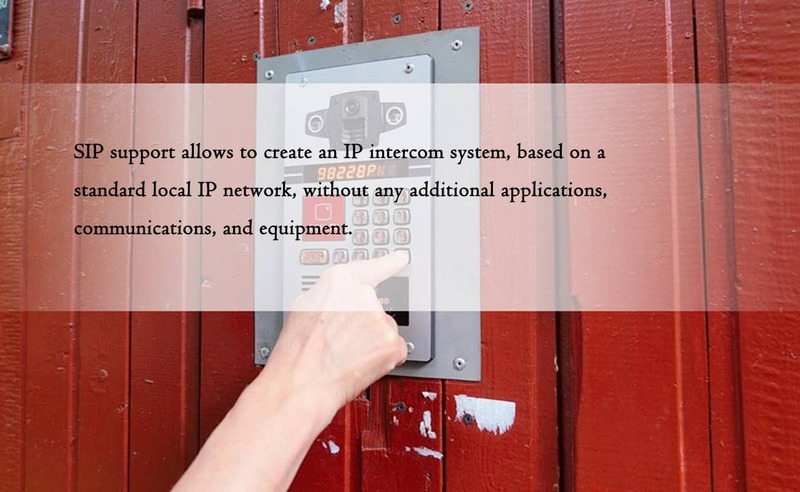 The BEWARD IP video intercoms are compatible with all devices and systems that support the SIP-intercoms, phones, PBX, etc. SIP STUN-allows you to connect to an IP video intercom via an Internet-server without a static IP address. It is possible to display images from an IP Video Intercom to a SIP monitor or to a SIP video phone(if the H.264 codec is supported). 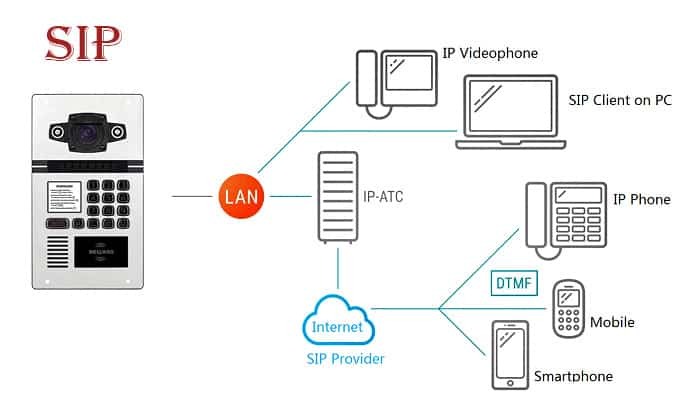 It is possible to provide a P2P connection via SIP without the alloying of any server. The various client software for all operating systems. There is no limit on the devices number in a network. It is possible to send voice messages to several SIP devices simultaneously(conference call, mass notification). You can take the calls from an IP Video Intercom or open doors with help of the phone/smartphone via the tone signal (it is possible by the call forwarding via an IP PBX). It is possible to forward the calls from an IP video intercom to Skype accounts.